Who’s ready for Gamehole Con and DORKSTOCK? OK – the World Series is over, and it’s almost time to start obsessively worrying about the fate of the American Experiment and the death of the Republic again to vote. But somehow, Gamehole Con and DorkStock (a tiny little division of Gamehole Con) have snuck up on us! Gamehole Con has become an absolutely incredible regional con over its still-young lifetime – a testament to its organizers and volunteers. I can’t thank them enough for inviting DorkStock to rise from the ashes share their fun with them, and this weekend should be a blast. Here’s where you can see the amazing Guest List for GameHole Con. 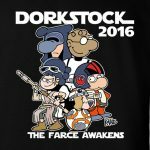 Here’s the sub-list of Dorkstock events. Anyway, I’ll mostly be hanging around the DorkStock area, running a few games, and having fun with my pals. Noon – Steve Jackson Dice Games (Upstairs Hallway/Dorkstock area). I’ll be popping in to play a few rounds. 3 – 4:00 pm – Meet and Greet (Atrium Signing Table). Bring stuff to get signed! Or beer! Definitely beer! Noon – Double Feature”Directors’ Cut” (Upstairs Hallway/DorkStock), with tons of new cards! 2 pm – Igor Bar Bake-Off! (Upstairs Hallway/DorkStock) The recipe for the infamous Igor Bar can be found here! 6:00 pm – “John Drew These Too” (Upstairs Hallway/Dorkstock area). A collection of lesser-known but great games I was lucky to be involved with. I’ll be there at the start, playing a few. 8:00 pm – Cash ‘n Guns (Upstairs Hallway/Dorkstock area) I’m running this one! NO MERCY, GRANDMA! 10 am – Out of the Box, RIP. (Upstairs Hallway/DorkStock) Some games from the late, great company. Possibly even a wake. I’ll probably be there, playing. Noon – Cash ‘n Guns High-Noon Showdown! I’m running another Cash ‘n Guns game, in case you missed the first session. 2:00 pm – Warhamster Rally (Upstairs Hallway/DorkStock) Here’s an absolute blast from the past! I may or may not be playing, but I’ll be there watching! 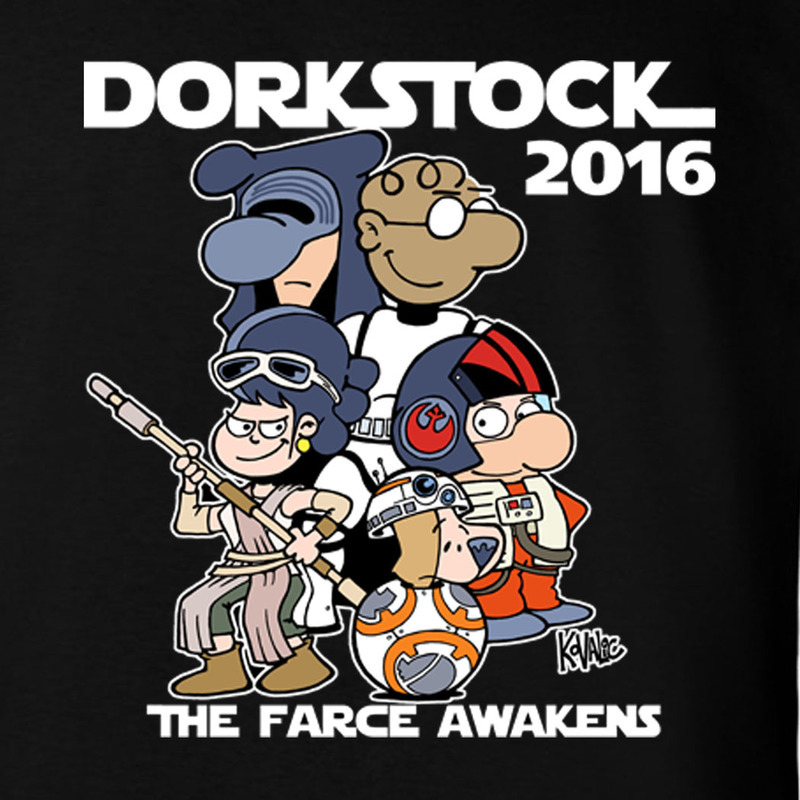 2:00 pm – TOON: Munchkin (Upstairs Hallway/DorkStock) Another blast from the past! I may or may not be playing, but I’ll be there watching! As you can see, I’ll be hanging around the DorkStock area quite a bit of the time, and playing a bunch of pick-up games, as well. But these are my scheduled events, so catch me there! We’ll be handing out DorkStock pins and Army of Dorkness badges to people who enter into an6y DorkStock event. 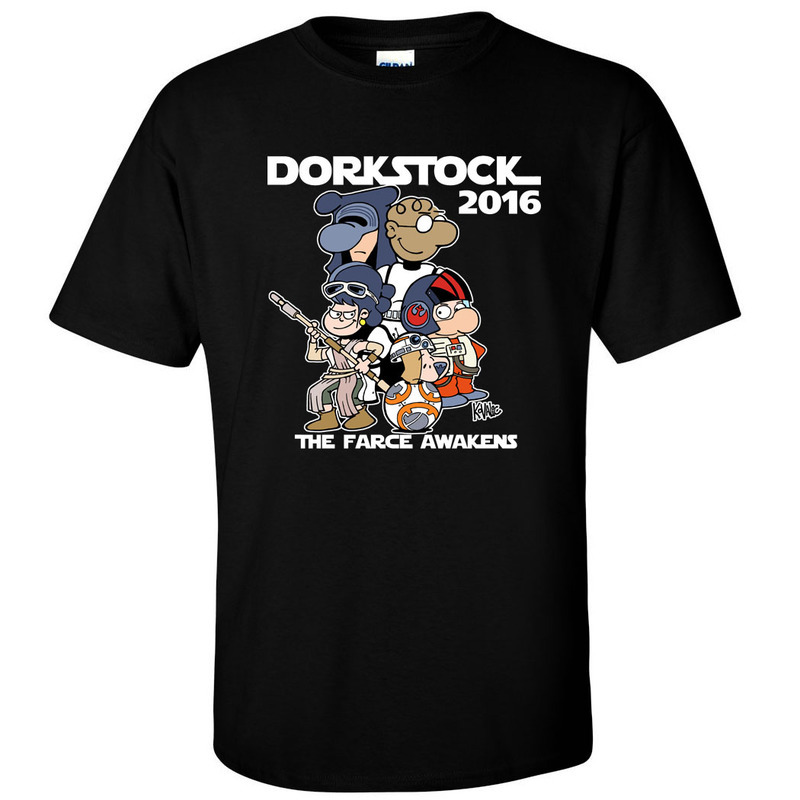 Also, Offworld Designs will have plenty of DorkStock T-shirts and sweatshirts on hand (they look GREAT – yay!) at their booth, so that’s exciting. 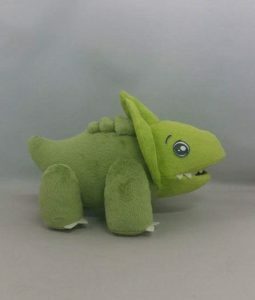 And also, don’t forget that last year’s Owlbear plushie now has a friend: the Bulette plushie, also designed by me! Available at the con itself. Having your player character devoured by a monster has never been so CUTE! Giant, huge, bulette-shaped THANKS, by the way, to DorkStock director Frances Moritz, and well as Dork Storm Press’ own Alex Aulisi, for helping to pull DorkStock 2016 off, as well as to fulfillment guru David Michael for getting the swag sorted out. And, of course, a ridiculous amount of thanks to everyone over at Gamehole Con for being so great, so well-organized, and, frankly, so awesome for inviting our little con-within-a-con aDorkStock long for their ride! See you across a gaming table!